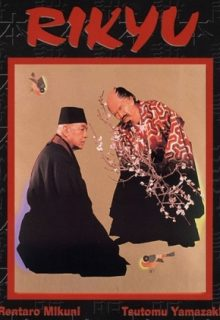 The film follows the 16th century master of the Japanese tea ceremony, Sen no Rikyu. While serving as tea master to the ruler Toyotomi Hideyoshi, Rikyu finds himself in a uniquely privileged position, with constant access to the powerful feudal lord and the theoretical ability to influence policy, yet he studiously avoids deep involvement in politics while attempting to focus his full attention to the study and teachings of the way of tea. However, as society is changed violently and radically around him, he finds himself the focus of jealousy and misdirected suspicions.